Though St Paul once sent out a stiff warning (to the Corinthians) that the "fashions of this world would pass", he might perhaps have added that before they do, some fleet-footed operator will make a packet out of whatever happens to be trending at a given moment. For the last few years, healthy and organic food products have been as 'hip' with the millennials as bushy beards and skinny jeans. So the producers of food and drink that can be perceived to be natural, simpler and local have been cleaning up. The lesson from the company we are putting under the microscope this morning, the French giant Danone, is that this new hipster market is wide open to major food corporations too. Danone will forever be associated with the French government's decision to protect it from an American takeover by calling it a "national treasure", so it is hard not to see the group as a reflection of France's national mood. But of course it is more than that. Though France's biggest food group, it has a huge international footprint. It trades in 120 countries with revenues of €25bn, net profit of €2.3bn and has 105,000 employees. Its brands like Activia, Evian, Danone and Aptamil sell everywhere. Over the years Danone, by using acquisitions, joint ventures and disposals, has successfully transformed itself. Two decades ago it was active in 20 product categories. At one time it owned a beer company, a glass producer and had a major slice of the European biscuit business, including Dublin's own cream cracker creator Jacobs. Today it is focused on just four business areas: dairy and plant-based products which account for more than half of revenues, water, which accounts for one fifth, with the remainder being nutrition and baby foods. Importantly it has spotted the wind of change is rippling through the food industry. For decades, big was better and brands were trusted. However, today's millennial (aged 22-30) is focused on stuff that is more health-conscious, drinks less alcohol and recognises the need to curb plastic and waste. The Kraft/Heinz merger largely ignored these changes and has suffered as a consequence, discovering that zealous cost-cutting, heavy advertising and pushing its products into supermarkets has not been the answer. Danone, on the other hand, found itself a decent diet of healthy and organic products to keep it going. Two years ago it purchased for €10bn the US WhiteWave Foods Company, a producer of plant-based health food. This is an alternative for animal-derived products. The revolution in food technology has meant scientists can now analyse the structure of foods such as beef or chicken and derive a plant-based alternative that resembles its taste, colour and texture. Danone thinks the trend towards new eating habits like veganism can be met profitably. The purchase of WhiteWave is in keeping with Danone's strategy of entering fast-growing markets. Today more than two-thirds of its business comes from outside its European base. The US is its largest market, followed by France and China. Over the years the Chinese market has been a difficult one for Danone, mainly because a number of its joint ventures turned pear-shaped. However, it is getting better at handling its Chinese ventures and things got better last year. Interestingly, more than half of Danone's portfolio is local brands such as Mizone in China, Prostokvashino in Russia, or Dan Ups in Mexico. Boosted by its bottled water brands and baby food, Danone's sales grew 3pc to €25bn in 2018 - seven years ago, sales had not exceeded €20bn. The company is valued by the market at €47bn and while not a tiddler, it still lags behind its European rivals Unilever and Nestlé. The shares trade at €67.70. 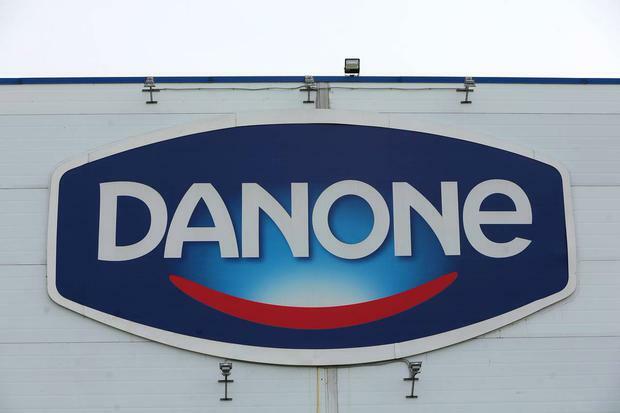 Given that investor sentiment has pivoted towards food companies that are themselves capable of revenue growth and the ability to adapt to the food revolution, Danone looks to be in a good space.